U.S. stocks surged on Thursday, boosted by lower rates stemming from weaker-than-forecast inflation data as well as a rebound in Apple shares. The Dow Jones Industrial Average jumped 131 points with Apple contributing the most to the gains. The S&P 500 climbed 0.5 percent, led by gains in tech. 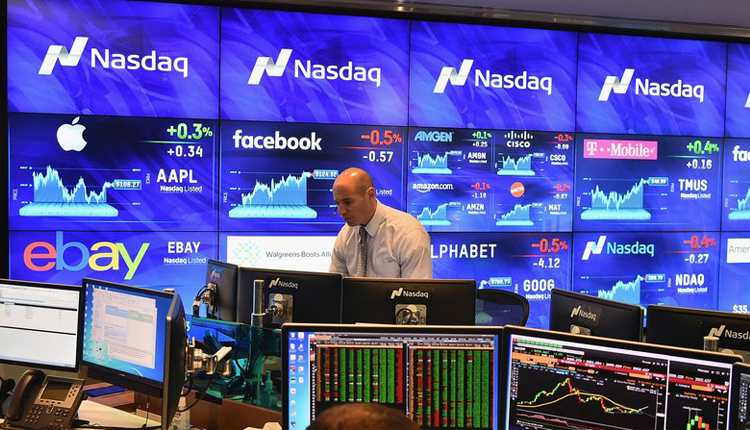 The Nasdaq Composite advanced 0.9 percent. Equities came off their highs, however, after President Donald Trump said there was no pressure to strike a trade deal with China. The Dow had gained as much as 192.72 points, while the S&P 500 and Nasdaq rose as much as 0.6 percent and 1.1 percent, respectively. The consumer price index — a widely followed inflation metric — rose 0.2 percent last month. Economists polled by Reuters expected a gain of 0.3 percent. The 10-year Treasury note yield fell to trade at 2.95 percent following the data release. Ninh Chung, head of investment strategy and portfolio management at Silicon Valley Bank, said the data should not prevent the Fed from raising rates later this month, however. “I think the market would be very surprised if the Fed doesn’t move in September. Market expectations for a September rate hike are at 97.4 percent, according to the CME Group’s FedWatch tool. The market is also largely expecting a rate hike in December, with expectations at 83.3 percent. “The Fed is eager to restore monetary policy back to normal,” said Scott Clemons, chief investment strategist at Brown Brothers Harriman. “The labor market continues to give them the opportunity to do so” and inflation is on the rise. Apple shares gave the broader equity market a boost as well as they rose nearly 3 percent. The move comes after Apple unveiled three new iPhones on Wednesday. Other tech stocks also rose on Thursday, including Advanced Micro Devices and Nvidia. AMD jumped more than 5 percent while Nvidia gained 1.4 percent. The tweet comes after news emerged that the U.S. was seeking to reignite trade discussions with China. Sources familiar with these negotiations told CNBC on Wednesday that the States was in the early stages of proposing a new round of trade talks with China in the near future. This comes after a week of turmoil between the two nations, which saw China looking to seek permission from the World Trade Organisation to inflict sanctions upon the U.S., and President Donald Trump stating last week that he was “ready to go” on hitting China with an additional amount of tariffs. Consequently, an air of cautiousness lingers for markets around the world.